The International Water Management Institute (IWMI) and the Livestock and Irrigation Value chains for Ethiopian Smallholders (LIVES) Project recently conducted a training on irrigation scheme management for farmers and agricultural experts in the Mehtsab Azmati Irrigation Scheme in Rama, Tigray. The Mehtsab Azmati scheme supplies irrigation water for 8000 households in the Hamido plain helping them to obtain higher yields than they could without irrigation. The scheme’s 2000 hectares of irrigated land is an emerging success story for irrigation development in Ethiopia. Farmers there produce vegetables, fruits (mainly mango) and the scheme also has potential for fodder development through irrigation. Held on 16–17 January 2017 at the Mehtsab Azmati irrigation scheme in Rama, Tigray, the training enhanced the knowledge and skills in irrigation development and value chain development for 26 farmers and agricultural experts. Earlier, in December 2016, a team of experts comprising of IWMI, LIVES, Tigray Regional State Agricultural Bureau & Rural Development, and the Tigray Agricultural Research Institute (TARI) had conducted a field visit/scoping study to the Mehtsab Azmati irrigation scheme to find out the opportunities and challenges in developing integrated and market-oriented production. The mission also aimed at understanding the local implementers’ capacity and perception of irrigation scheme management. The study team identified a significant potential for Rama to serve as a market hub for vegetables, fruits, and fodder in the region. But gaps were identified in livestock and irrigated crops value chain development with particular challenges related to efficient use of water including salinity, rising groundwater level among others that could undermine the sustainability of the scheme. In addition, the significance of training for experts and farmers on irrigation scheme management were among remarkable gaps underlined in the scoping study mission report. To this end, the Region Bureau of Agriculture requested LIVES and IWMI to share their experiences in order to fill these gaps. The irrigation scheme management training focused on addressing and responding to to some of the issues emerging from the scoping study. It focused on creating an understanding among participants of the benefits and impact of efficient irrigation scheme management in resolving multifaceted agricultural water management challenges and in contributing to value chain development. Participants were equipped with knowledge and skills in improving the effectiveness, efficient, and timely use of resources, methods and strategies for irrigation development, agronomy and watershed management. The training covered crop water requirement, furrow irrigation method (including soil moisture distribution pattern), irrigation scheme management, criteria to evaluate water delivery service, the significance of collecting/monitoring irrigation data in irrigation scheme. In addition, lesson from Koga Irrigation scheme were shared with the participants. Insights and observations from the scoping study and field visit confirm that the scheme is experiencing severe disruptions in land and water productivity and increased salinity and nutrient depletion which affects its productivity. The training was led by Alemseged Tamiru and Desalegne Tadesse of IWMI-Ethiopia; Fanuel Laekemariam of Wolayta University, and Gebremedhin Woldewahid from LIVES. 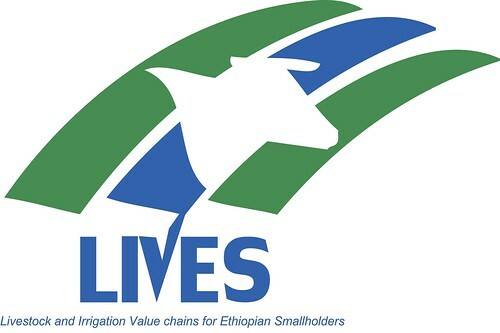 Livestock and Irrigation Value chain for Ethiopian Smallholders (LIVES) is an International Livestock Research Institute (ILRI)-led project funded by the Department of Foreign Affairs, Trade and Development (DFATD) of Canada. 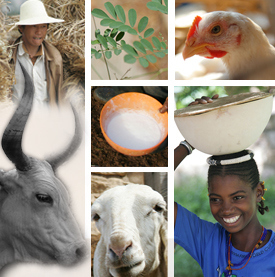 It aims to contribute to enhanced income and gender equitable wealth creation for smallholders, and other value chain actors in Ethiopia. 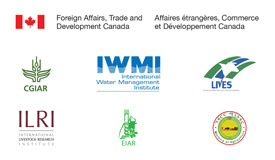 IWMI is responsible for the irrigation value chain components of the project. Tags: capacity development, Irrigation scheme, scaling out. Bookmark the permalink. Dear every body! this is very important entry as to use irrigation water efficiently and sustainably hence enhancing the value chain of fruits and vegetables in Rama. Having said this, I would like to suggest points that could strengthen what you have started. 2. Personally, I have never visited the site, however, I heard from my collegues that there are also some insect pests those observed in Rama and dealt soon, hence what you have started could also be more productive if other stakeholders be able to participate.